The very first Poltergeist remake trailer is finally here and it’s pretty solid. This time around, Sam Rockwell and Rosemarie DeWitt lead as the parents trying to fend off a spiritual invasion and save their eight-year-old daughter (Kennedi Clements) from the evil forces trying to take her. On the one hand, I’m thrilled to see that director Gil Kenan and his team stuck close to the 1982 original, but then you get certain connections, like when Jared Harris says, “This development was built on a cemetery,” and the material feels unnecessarily familiar. Regardless, the piece is still well paced, packed with fun scares and suggests the filmmakers can deliver an especially creepy scenario without resorting to gore or R-rated material. I don’t want to spoil anything, but that final post-title footage is especially nuts. 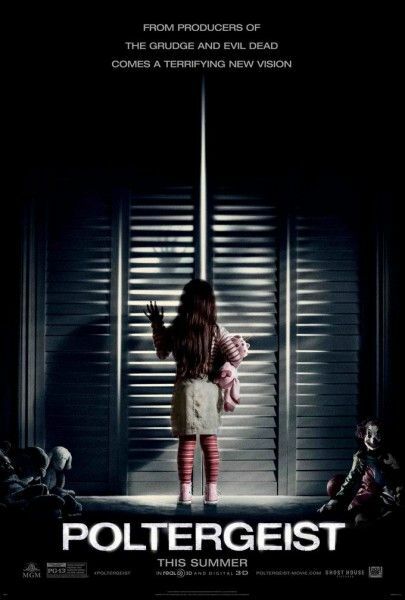 You can check out the new Poltergeist trailer for yourself below and catch the international version (the better version) right here. The film opens in 3D on July 24th.